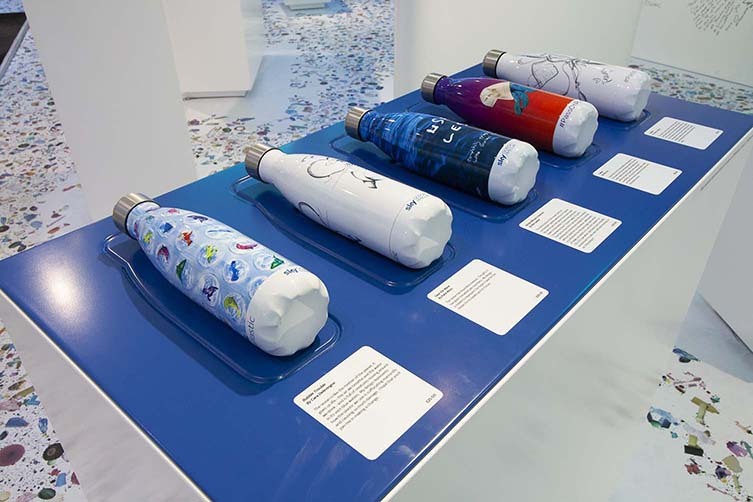 With a clear message to ‘Pass On Plastic’, the collaboration between Project 0 and Sky Ocean Rescue hopes to inspire change for the health of the oceans and ourselves; the range of products on offer including reusable water bottles, coffee cups, tote bags, an on-the-go cutlery set, and a three-piece beeswax wrap set. 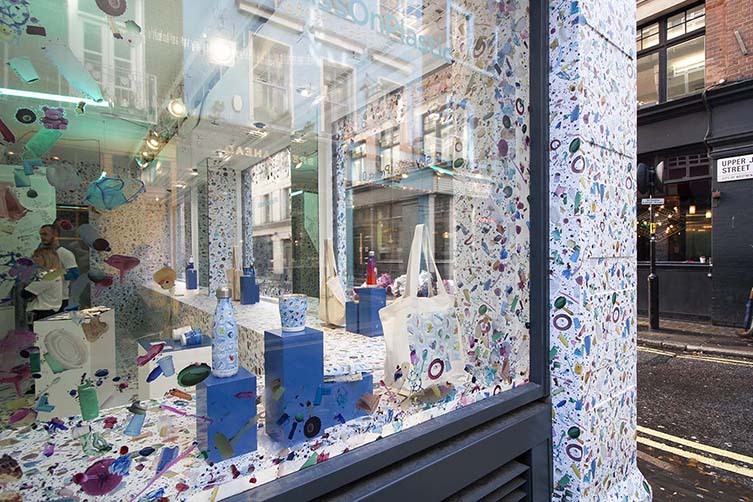 The profits from each sale going to WWF and Project 0. 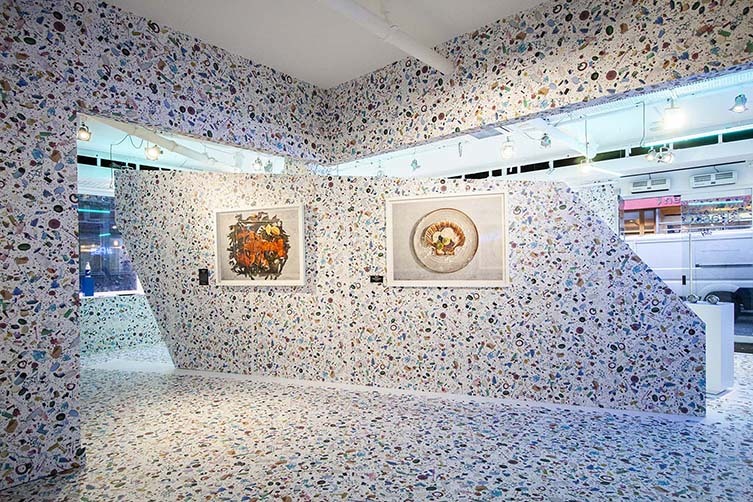 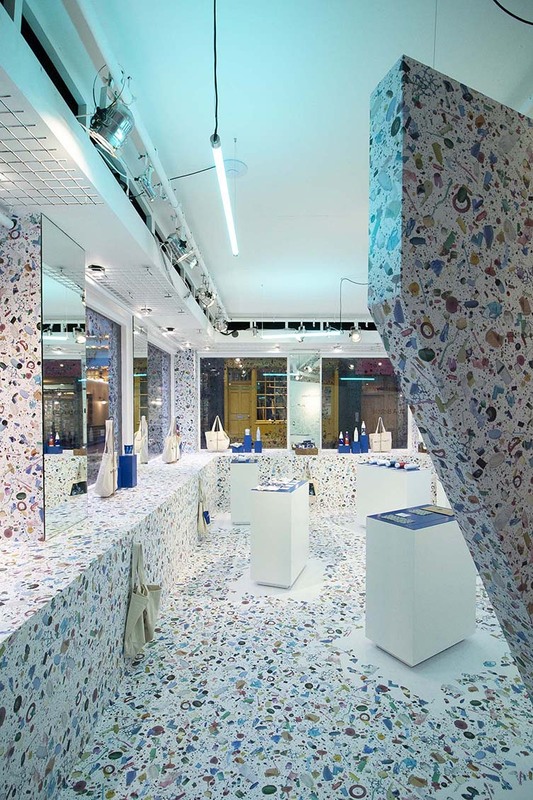 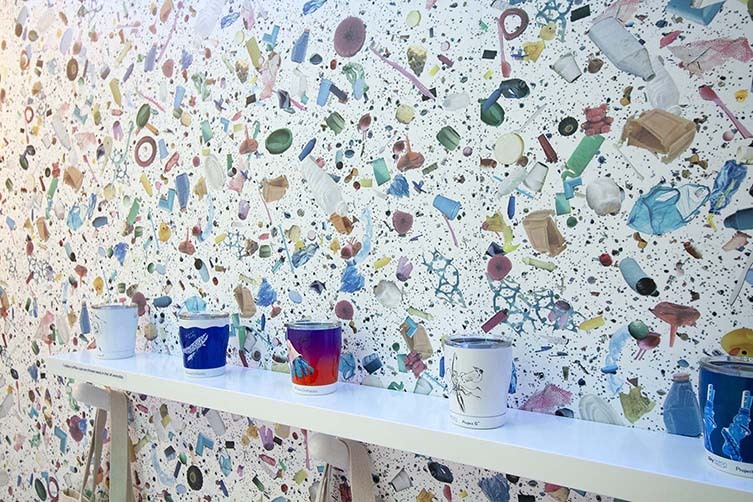 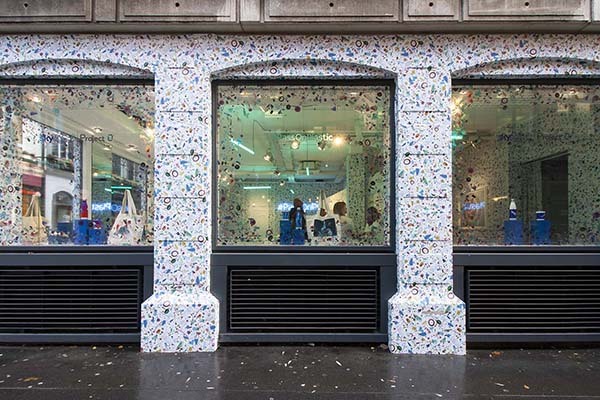 Designed by Shed, the 119 square metre space at 20 Beak Street features a wallpaper (developed by the interior design and architect studio) that uses imagery of plastics found in the ocean to create an overwhelming sense of what humankind is doing to its own planet. 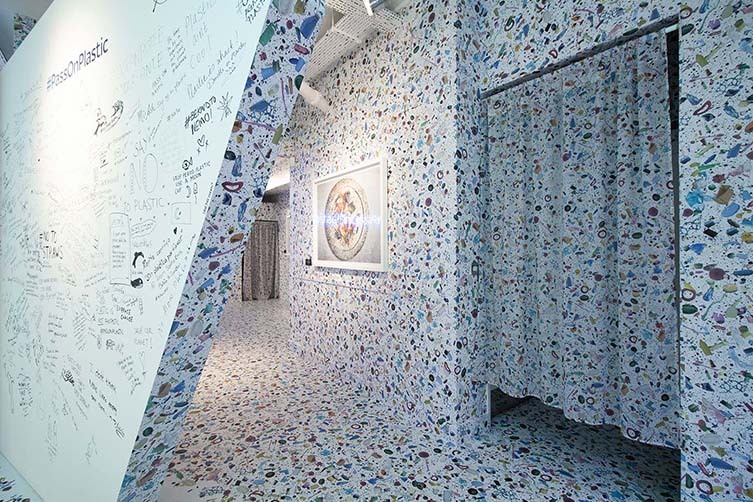 Enveloping the entire space, inside and out, it forms a backdrop that’s impactful from a distance, provocative once the content becomes so painfully clear. 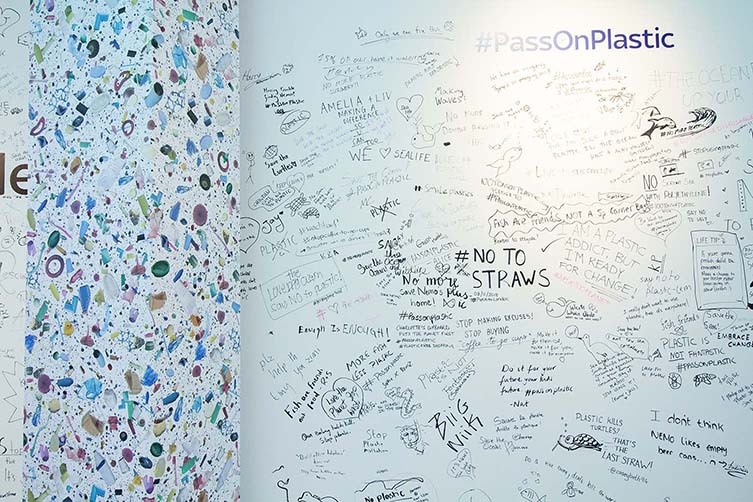 Thought-provoking artworks by Tim Atkins hang in the gallery space, and visitors are encouraged to commit a pledge to changing their habits by scribing on the ‘Message Without A Bottle’ wall; in a time of unparalleled awareness for the plight of our oceans, real life everyday change is the only way forward. 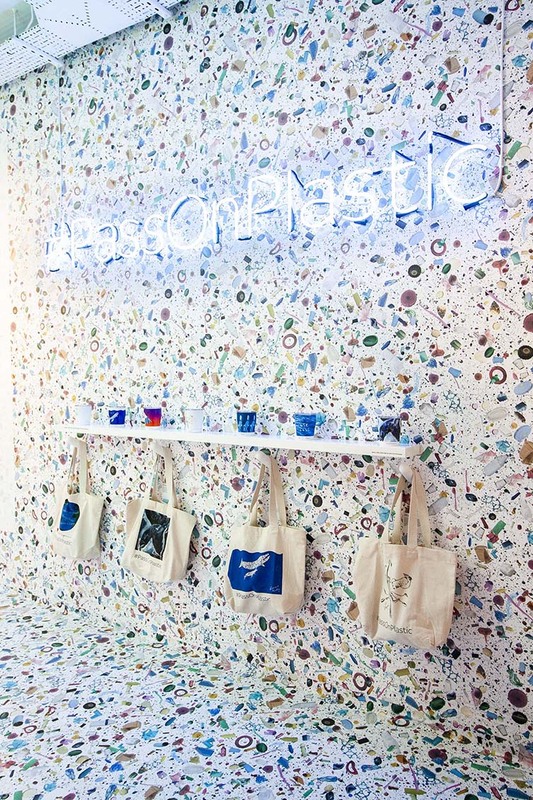 Open until 6 January 2019, Pass On Plastic joins the nearby Choose Love pop-up in giving a voice to vital issues amid the throng of Christmas consumerism. 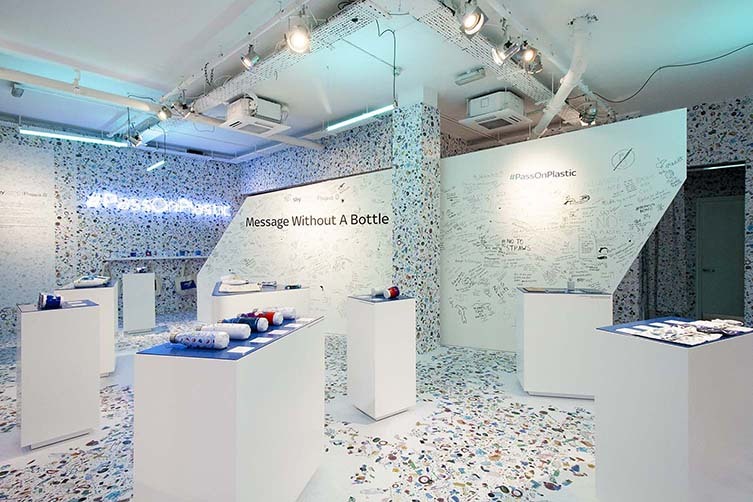 Single use plastics? 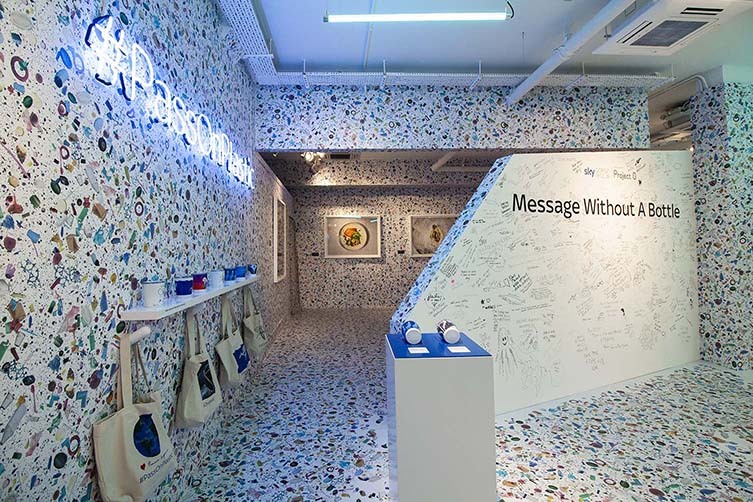 Just say no.